We arrived in front of his house in the dead of winter. The icy roads and winter advisory winds made a challenge out of our commute to his home outside Pittsburgh. However, the heaps of snow and shivering cold faded away as soon as we saw Jimmy, beaming in the doorway with his bright English smile. Over the course of a few hours, we came to know and love a man whose accomplishments and stories could fill ten lifetimes. He mesmerized us with his captivating stories, he shocked us with his accomplishments, and he moved us with his deep and humble humanity. "Honored" is how we would describe our feelings of being in the presence of his genuine nature and honesty. We proudly present to you, Jimmy Justice. James William Henry Justice, or Jimmy, was born in London on June 2, 1925. He has fond memories of his family, especially of his father who he describes as “a rather energetic guy”. His father was a British Army Veteran who worked for the Graves Commission after WWI, and he was in charge of going back to France to retrieve and identify the bodies of British soldiers thrown in mass graves. After the war, his father became a journeyman butcher, taking a job wherever it was available. For this reason, his family moved eight times from when he was three to fourteen years of age. Every time they moved, the new school that Jimmy attended taught a different type of mathematics. He attributes this moving as the main reason why he struggled with this subject growing up. 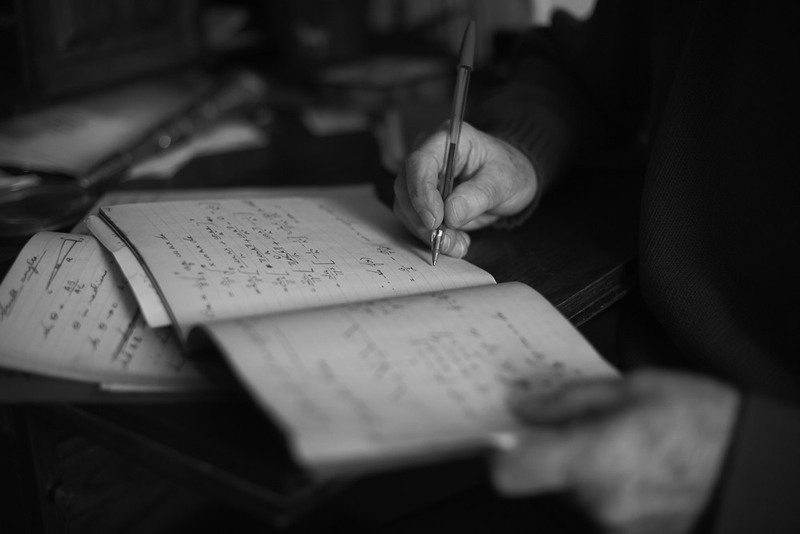 However, despite his struggles, Jimmy was awarded a scholarship to attend North London Polytechnic for two years, during which time he was finally able to grasp and find a passion for mathematics thanks to his instructor. Another exam guaranteed a three year extension of his scholarship, which was interrupted after two years due the the start of WWII and the bombings of London. In 1939, it became apparent that there was an imminent German threat; the citizens of London had to be fitted for gas masks which they were to carry with them at all times. Due to the potential bombing of London, many children, including Jimmy, were evacuated to the countryside by train, their destinations unknown to their parents. Jimmy was taken to Cambridge, and the citizens were required to take in and care for the children; Jimmy states that they were taken around door to door and “picked out like cattle” by the households; a woman by the name of Mrs. Phillips took in Jimmy and another child, and he stayed with her and her husband for about a year. He remains grateful to Mrs. Phillips for her kindness and has kept in contact with her and subsequently her family to this day. He desired to return to London to be with his family despite the bombing, and while there, he continued his schooling and also joined the Air Training Corps, which is a British youth organization sponsored by the Ministry of Defense and the Royal Air Force, aimed at preparing youth for eventual enlistment. London at this time was blacked out at night with bombs starting at twilight and continuing throughout the night, and Jimmy helped his father once a week with the job of “fire watching.” This was a task shared by other community members who were assigned nights to keep watch and given a bucket full of sand and a hose to put out the incendiary bombs that had dropped. While he was in the Air Training Corp, a buddy asked him to go to the school dance in North London because he was interested in meeting a girl there. He persuaded Jimmy to go to the dance, and Jimmy saw his future wife, Pauline, dancing with another man. Jimmy walked Pauline home from another dance the week after, where Jimmy unknowingly ended the night chatting with Pauline’s father on the street corner watching a German bomber being “triangulated in the searchlights” while the British ‘ack-ack’ guns fired at it. Pauline, in the meantime, slipped into the house unnoticed as she was breaking curfew. Soon after this night, Jimmy and Pauline were inseparable. 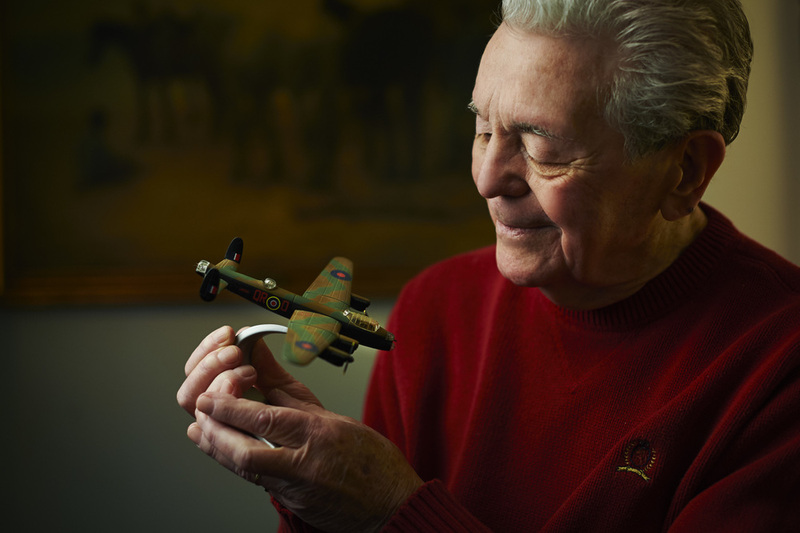 After two years in the training corps, Jimmy volunteered for Royal Air Force. He was determined to fly for his country, but soon found that he was too short in the legs to be a pilot. So he requested that the Air Force make him an Air Gunner instead. The RAF had a different idea though, as Air Gunners were regularly “hosed out" as "they would be bits” at the end of their missions and Jimmy possessed a valuable set of mathematical skills. They convinced him to become a navigator. In addition to his math prowess, Jimmy was a boxer, hailing from a long family tradition of boxing. He fought for the Air Force and even won his fight against the former Silver Wings Champion while new to the RAF, winning him respect and the option to choose his training location. He chose to be trained at St. John’s college in Cambridge in aircraft recognition, astro navigation, meteorology, armaments, and many other skills. He was then sent to Canada for additional training, and he married Pauline upon his return a year later in 1944. Jimmy went into the RAF and became a navigator for a bomber called the Lancaster, using various forms of navigation systems to guide the plane, including radio beacons, dead reckoning, H2S Radar, astronavigation, and LOREN. He wasn’t in the war for very long before it ended in Europe, but his crew went on missions and on diversionary raids in France and in Germany. He went on leave when the war was over on May 8th, and he describes the parties and bonfires in the streets of London as being joyous! He went back to base as the war continued in the Pacific, and he was reassigned to transport command flying DC3s, which carried troops. They were being trained to drop off troops in Japan for the invasion and had to learn how to take off and land in short spaces. While on leave for a few weeks before pushing out to the Pacific, the atom bomb was dropped. His mission was cancelled, and he continued with the RAF on transport command, moving troops and VIPs to locations all over the world, including Greece, Cairo, Malta, Yemen, Arabia, Iran, Pakistan, and finally spending a longer period of time in Italy. His memory of the events and locations, to the day, is shockingly precise. 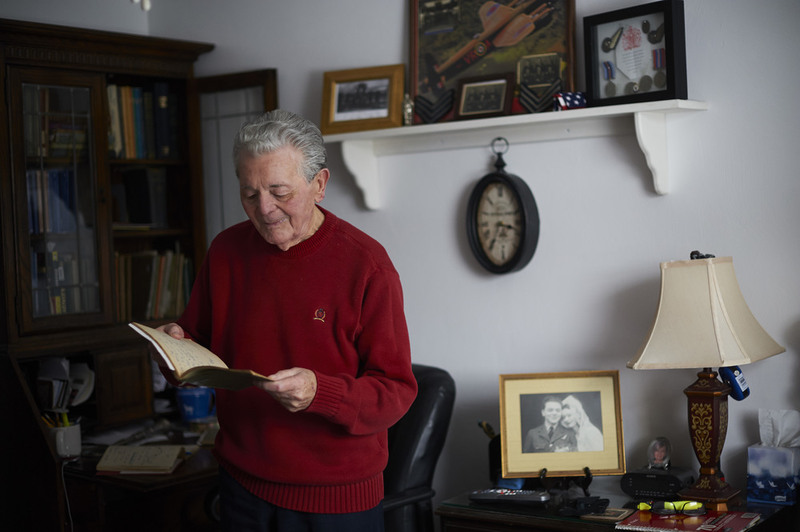 After his service, Jimmy went back to college in 1947 on the British version of the GI bill, studying material such as electro-magnetism, electronics, tv, radio, and communications. He and Pauline lived in a little house that was condemned and very cheap after the war, and they whipped it into shape as they started their family with their first of three daughters. He passed his four-year course in three years, and he was inspired to do well in order to win available scholarships for the top students. After graduation, he got an interview with Flemming Williams, one of Watson-Watt’s right hand men in working on Radar. He was hired by this company, working his way up to a senior engineer. He followed Flemming Williams to his new color television research company. He worked researching color television systems, devising a beam-indexing system which Westinghouse saw in a presentation a few years later. Westinghouse then “made (him) an offer that (he) couldn’t refuse.” The family moved their life to Pittsburgh subsequently. While working with Westinghouse, Jimmy is credited with over 30 patents for his work and is esteemed in his field. Notable patents can be read below, but his proudest achievement is his proposal and collaboration with NASA that led to the development of color television in space, transmitted and seen by billions of home viewers worldwide-- an accomplishment that recognized Westinghouse with an Emmy in 1969. In addition, there was an occasion where GE shockingly discovered that Jimmy had already invented one of their new and exciting developments in color television ten years earlier - that of multiple programs transmitted over a single TV channel. GE had to stop production due to the fact that Jimmy already owned the patent. All in all, we simply cannot properly describe all that Jimmy Justice has accomplished. Even at this age, diagnosed with cancer, Jimmy continues to view life with cheerful optimism, always in the pursuit of knowledge and enrichment. As you read this, he aspires to further his own personal understanding of Einstein’s theory of relativity and is studying astronomy. System description of a Westinghouse proposal for space color television which formed the basis of the approach used by NASA for color television in space, as received by billions of home viewers worldwide. Westinghouse was awarded an EMMY by the National Academy of Arts and Sciences - top broadcast engineering achievement of 1969 for Apollo color TV in space. Despite his many accomplishments, his one true passion in life remains: his children and his beloved wife, Pauline, the love of his life. He credits Pauline for being the reason and motivator for everything he has accomplished in his life.